Magic, love spells, and an enchanted wood provide the materials for one of Shakespeare's most delightful comedies. When four young lovers, fleeing the Athenian law and their own mismatched rivalries, take to the forest of Athens, their lives become entangled with a feud between the King and Queen of the Fairies. Some Athenian tradesmen, rehearsing a play for the forthcoming wedding of Duke Theseus and his bride, Hippolyta, unintentionally add to the hilarity. 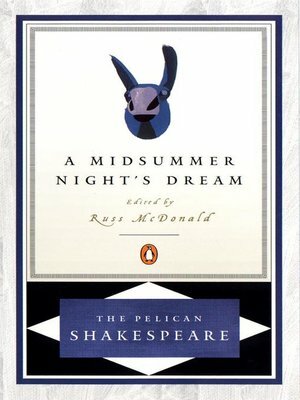 The result is a marvelous mix-up of desire and enchantment, merriment and farce, all touched by Shakespeare's inimitable vision of the intriguing relationship between art and life, dreams and the waking world.